Did you receive this flyer? Over the last while we’ve been distributing this flyer to homes around Carrigaline. 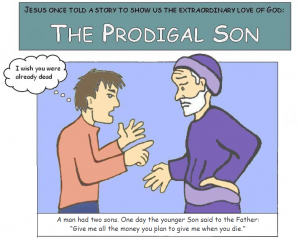 It’s a simple re-telling of a familiar Bible story known as the Prodigal Son that shows something of the extraordinary love of God. We’d love to be able to share more of the story of God’s love through Jesus. So you’re invited to come along to a series of discussion based studies around the same story as in the flyer. If the timing of the study doesn’t suit then please get in touch to find out when it will be run again.